Choosing the right day care center is one of the most difficult decisions a parent will make. If you’re a working parent looking for a dependable child care provider that you can trust, look no further than Discovery World Learning Center in San Antonio. We offer baby care for babies as young as 6 weeks old at all three of our locations. When you enroll your baby in our day care, you can rest assured knowing we will provide a secure and nurturing environment for your baby. Our babies are constantly engaged, held, and cared for like they’re our very own children. If you’re a nursing mother, we encourage you to drop by and feed your child whenever you want. Our experienced, qualified caregivers work hard to create the perfect daily routine for your baby. It’s our mission to develop a strong bond with your baby, along with a setting that feels like home. Every aspect of your baby’s care, from naps to feedings, is based on your preferences. 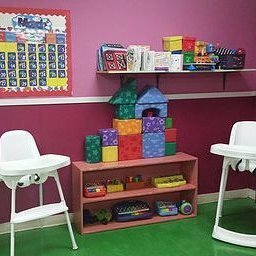 Our baby classrooms have been designed for maximum efficiency, security, and safety. We want to make your baby’s time away from home both comforting and enjoyable! Our Baby Rooms Fill Fast. Reserve your spot today! 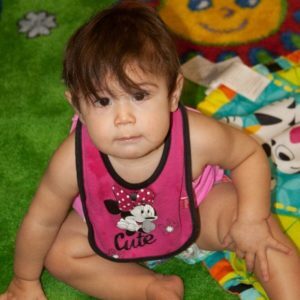 If you are looking for baby care in San Antonio, visit Discovery World Learning Center. We have locations in Northeast, Northwest, and Downtown San Antonio. Contact us today for a tour of our facility, or to learn more about our baby care and day care facility.